My son started kindergarten this year, so weeknight dinners have become quite the challenge. It’s often difficult to find easy-to-make recipes that have lots of flavor and don’t take forever. 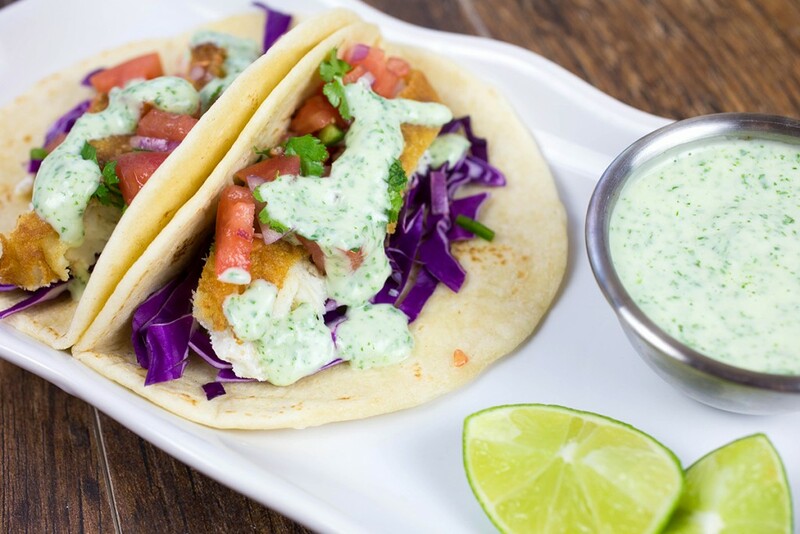 This week, I made fish tacos with creamy jalapeño sauce — and I was so happy with how they turned out! The secret to getting them done quickly — and making them taste great — are frozen Haddock Fillets in Crispy Batter from Young’s Seafood. It’s not your average frozen fish. The filets came out crispy, with the authentic taste you find at a traditional British Chip Shop. 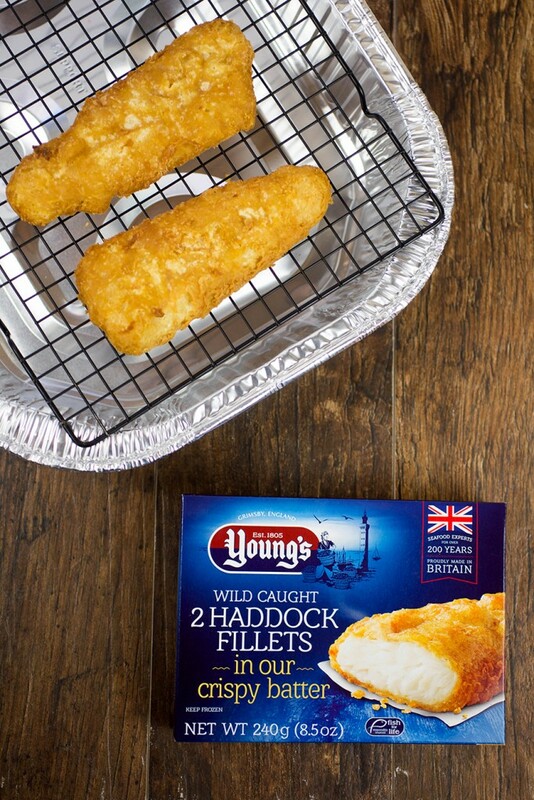 Young’s Seafood is the number one seafood brand in the United Kingdom. And for the first time, you can purchase their delicious products at Walmart and Sam’s Club stores here in the U.S.
Bake the Haddock fillets according to package directions. Once they are done, slice and set aside. 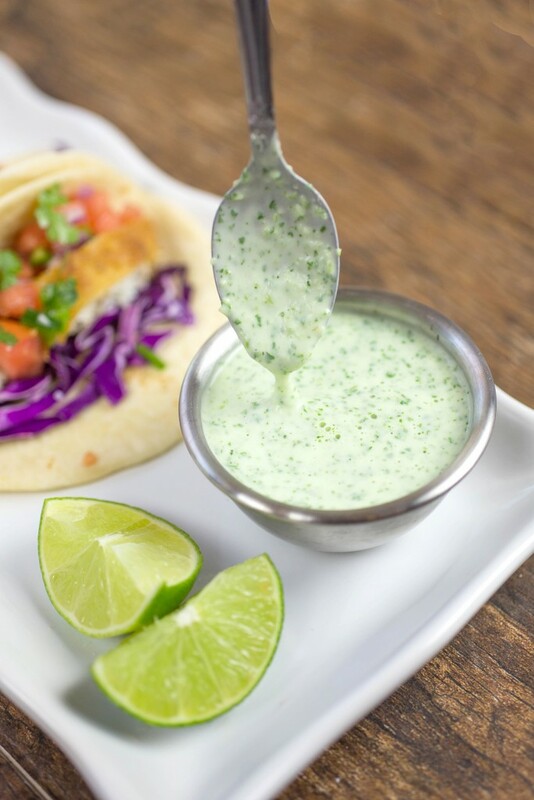 To make the creamy jalapeño sauce: Remove 1 Tbsp fresh cilantro leaves from the bunch, then add the rest to a food processor. Add in the mayo, yogurt, garlic, salt, water, juice from one lime, and one seeded jalapeño and pulse until smooth. To make fresh pico de gallo: Dice the tomato, onion, and the remaining jalapeño and cilantro. Place in a small bowl and squeeze the juice from the remaining lime on top. Stir together and add salt to taste. 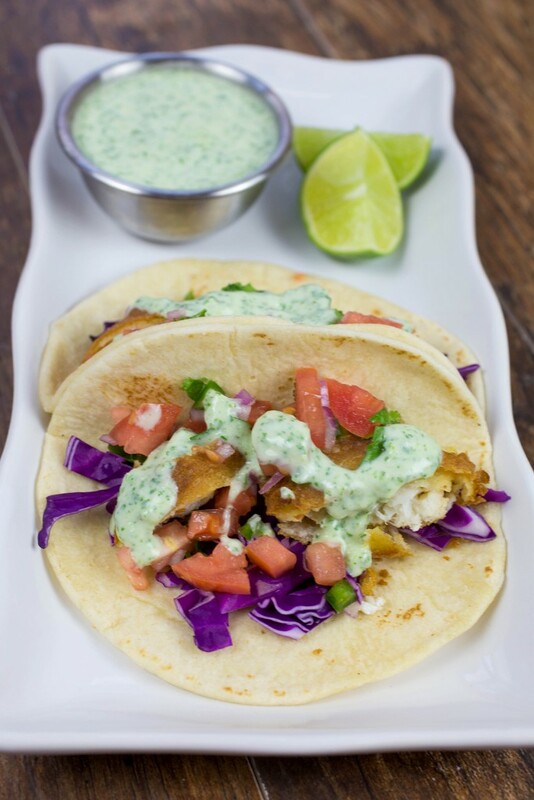 Prepare your fish tacos by layering cabbage, fish and fresh pico de gallo into the tortillas. 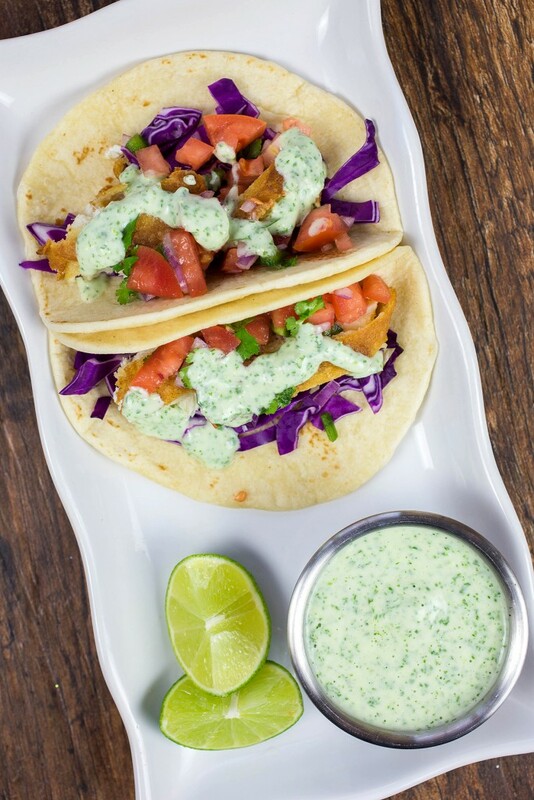 Top with creamy jalapeño sauce to serve. Don’t forget to pick up Young’s Seafood products at your local Walmart and Sam’s Club stores.